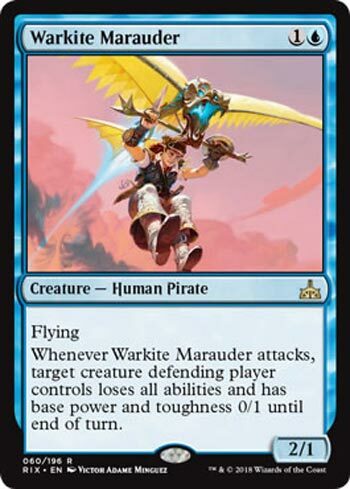 Being able to hit a potential blocker with a Humility-style crippling is a very good place to be for a Pirate, and this is definitely an aggressive two-drop for blue in general and Pirates in specific, able to keep pace late-game and put in work at all stages. Evasion also means this is meant to swoop early and often, and it’s definitely well-suited for this, even with its low toughness. I’m not 100% sure how good this card will prove to be, but it’s an impactful two-drop at all points in the game, which is an impressive feat all the same.